Self-confessed film fanatic and Writer/Founder of Moustache Movie News - that's what you get for drawing a moustache on a poster at work, an angry boss...and a moustache themed movie blog. Gary Oldman brings one of Britain’s most celebrated figures to life in Darkest Hour. 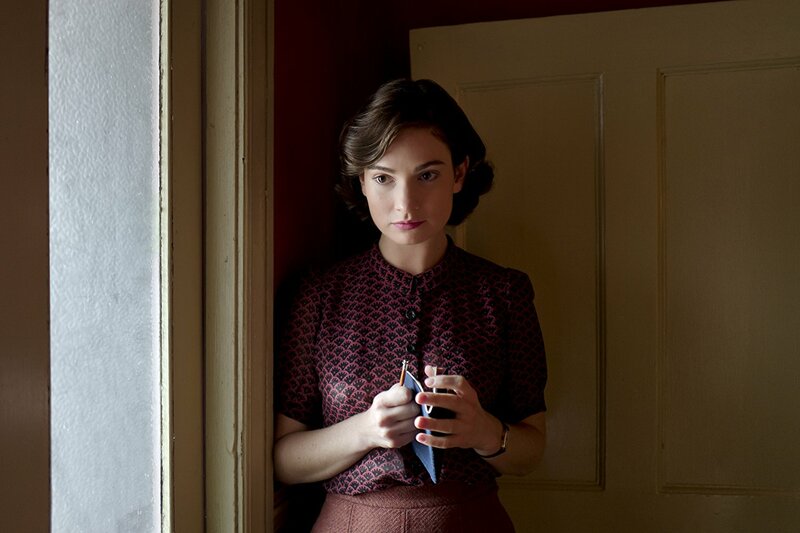 Directed by Joe Wright (Atonement) and written by Anthony McCarten (The Theory of Everything), it tells the story of Winston Churchill’s first four weeks as Prime Minister. At a time when we stood alone and on the brink of disaster, he would have to deal with the loss of France to the German blitzkrieg, the Dunkirk evacuation, a lack of support from those in his own party as well as King George VI (Ben Mendelsohn) and pressure to reach a peace agreement with Hitler. The man really was thrown in at the deep end! Looking for more film & TV reviews? Like this article? You can find more film and TV reviews on Soapbox’s film review page. 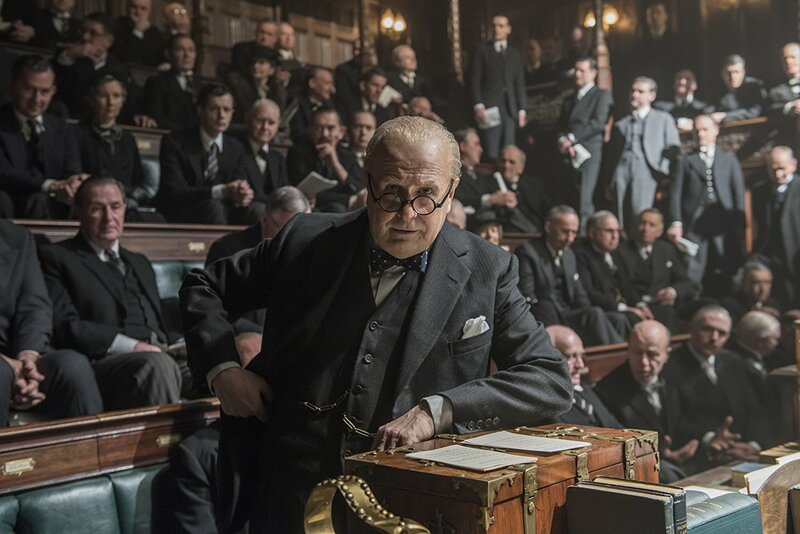 Gary Oldman spent a year studying Churchill and his mannerisms, in order to bring the man to life. Over that same year, he worked with special make-up effects artist, Kazuhiro Tsuji (Looper, Hellboy, The Grinch) to develop the incredible make-up and prosthetics that would transform him into the legendary PM. The prosthetics used to fatten him up weighed half Oldman’s bodyweight. In fact, they had to dial back their work because he looked too much like Churchill and something was lost in Oldman’s performance. And his dedication didn’t end there, throughout principle photography Oldman smoked over 400 cigars at a reported cost of £18,000. The result of said dedication; by the end of filming he had nicotine poisoning. Thanks to Gary Oldman’s chameleonic abilities, Darkest Hour is more than just a look at this incredible public figure, it’s a look at the man. A man who despite appearing confident and jubilant in public, was bearing the weight of war on his shoulders, staunch in his beliefs and yet troubled by indecision. 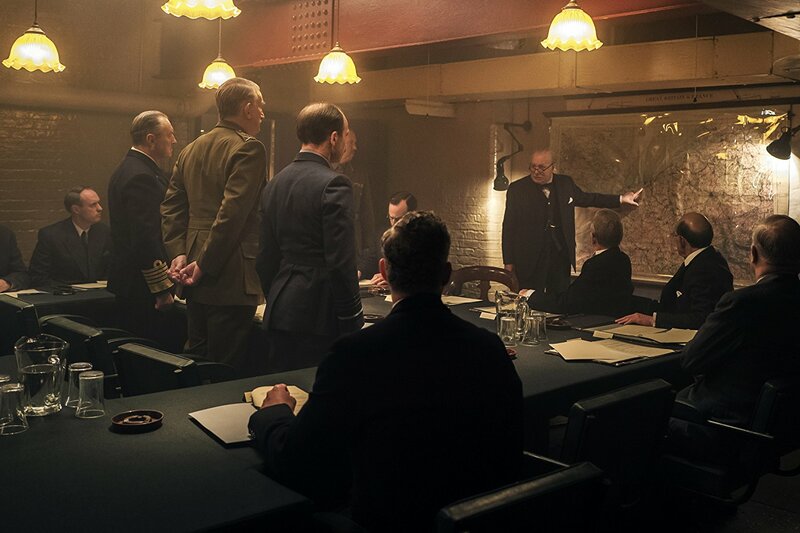 Through this epic performance we see the Churchill that existed behind closed doors. Including his quirky habits; working from his bed until midday, dictating letters from the bath, having meetings while in the WC and the copious amounts of alcohol that fuelled him. 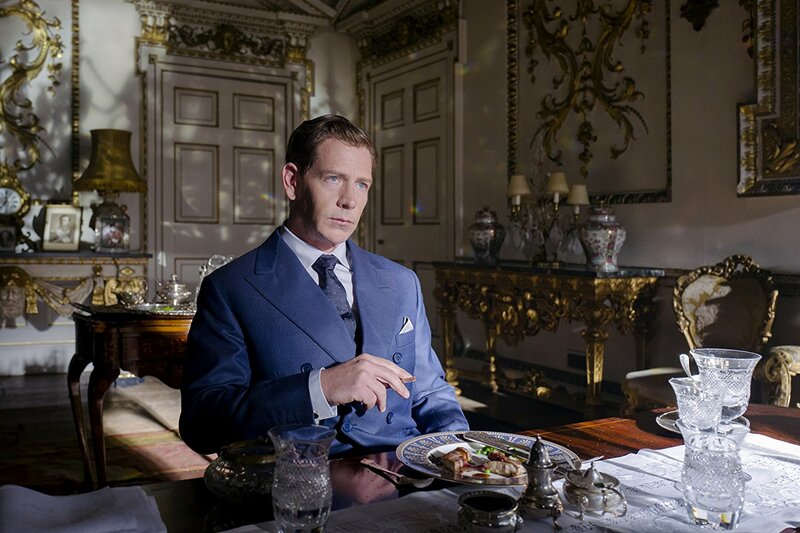 There to support him were his insightful and elegant wife Clementine (Kristen Scott Thomas) and his loyal secretary Elizabeth Layton (Lily James) – who in reality didn’t join Churchill’s staff until 1941. While others manoeuvred against him, including his Foreign Secretary, Viscount Halifax (Stephen Dillane), a man who believed in appeasement and making peace with Hitler. 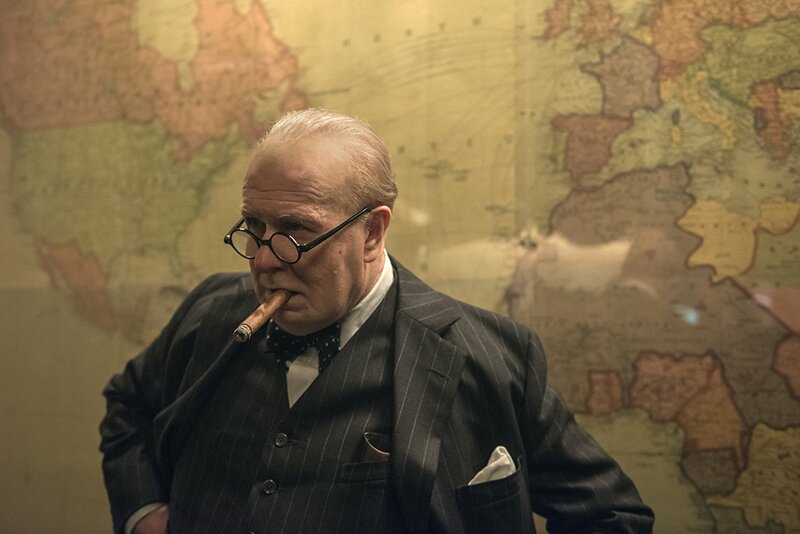 Darkest Hour is a masterpiece in film, a compelling story about one of the darkest periods in our country’s history that would become one of our finest moments, and the man that led us to victory. 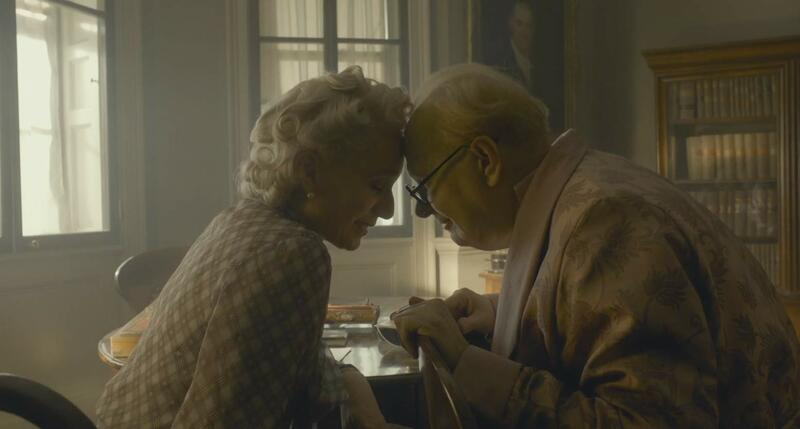 Nominated for five Academy Awards, including Best Picture, Best Actor and Best Make-up and Hairstyling, Darkest Hour should come away with several little gold statues named Oscar. It could be considered criminal that before 2018, an actor like Gary Oldman had only received one Oscar nomination. Hopefully it’s a wrong that’ll soon be righted, for if he didn’t deserve to win before, he certainly does this year! What did you think of Darkest Hour? Let us know by leaving a comment below or find us on Facebook and Twitter.